You don't have to catch the absolute top. If you miss it, or can't see it occurring till it's over, be patient. 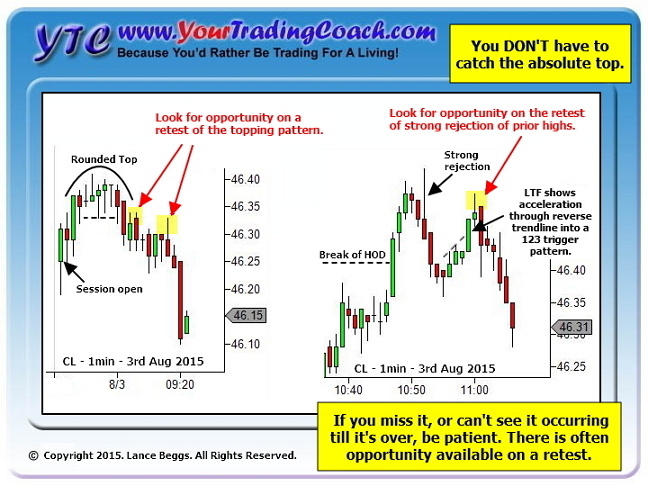 There is often opportunity available on a retest. Let's start by looking at two images shared a few weeks back on YTC Facebook and Twitter, and then expanding upon this idea with a further example. I see too many traders get frustrated by missing a trade entry. And more often than not this puts them into a negative mindset that creates further problems as the session goes on. So it's important to discuss this idea – you don't have to catch every opportunity. In fact… you won't catch every opportunity… so it's essential that you get used to this idea. I probably miss more than I catch. And that's absolutely fine. Brush it off. Keep focused. The next opportunity might be just around the corner. That's why I love these examples. A retest can come around quite quickly. 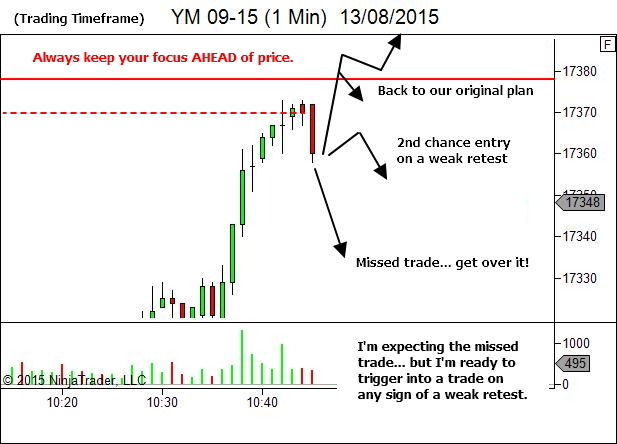 If you miss an entry at a top… relax and maintain focus… there is quite often a retest. 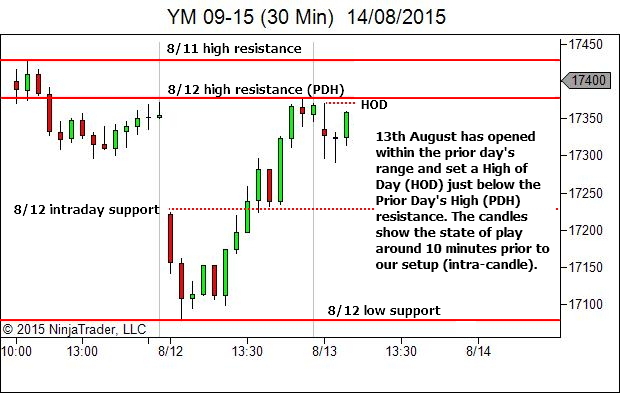 Let's check out one more example, this time from the 13th of August, 2015, in the Emini Dow. The Trading Timeframe chart displays price shortly after commencing this rally towards resistance, and discusses my expectations for the likely future-path and areas of trade opportunity. So I'm watching for either a breakout failure or a breakout pullback opportunity. But I also continue to monitor and assess bar-by-bar. If something changes in the nature of price movement, I'll reassess my plan. Let's move forward a few minutes. Maybe? There's no way of telling whether or not it will continue lower without me. If it does, I'll let it go. I'll be happy that I was at least stalking a trade in the right area. But maybe not? Let's just maintain focus and see what develops. 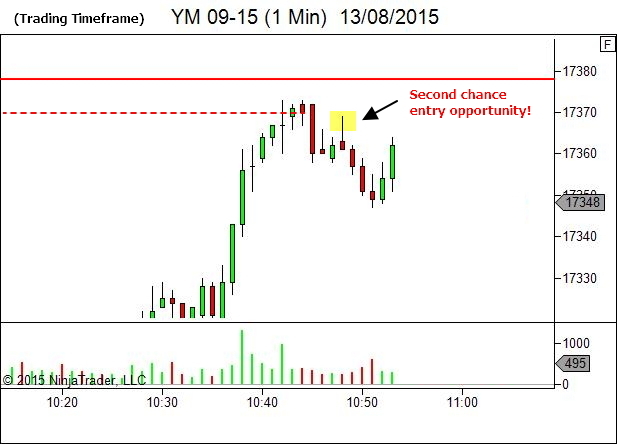 Moving forward again I find the market was kind enough to offer me a re-entry opportunity. You don't have to catch the absolute top. If you miss it, or can't see it occurring till it's over, be patient. 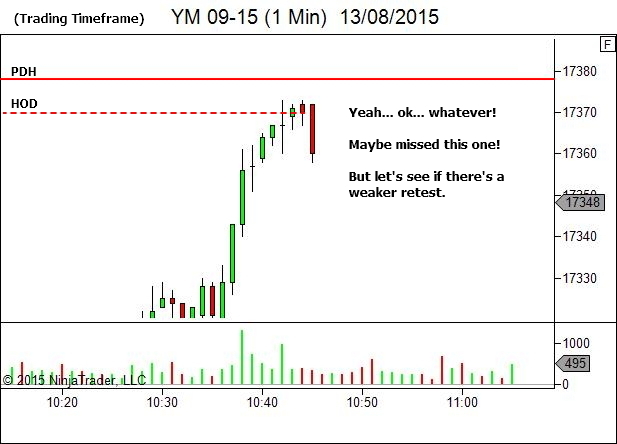 There is often opportunity available on a retest. Thanks. 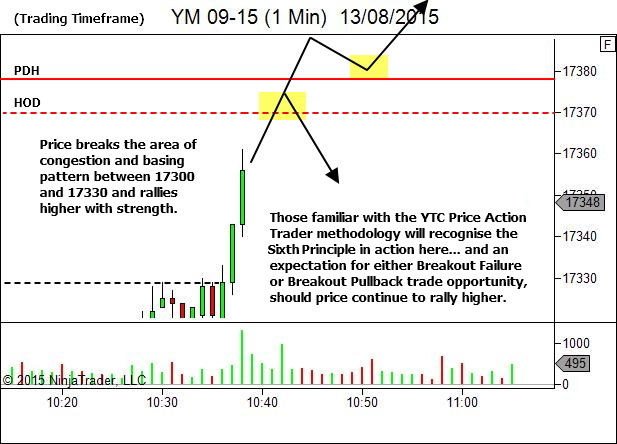 Welcome to YTC and to the world of trading. This is an amazing business. I’m very pleased to see that you recognise it will take time. Always remember, trading is a skill based activity and the quality of your performance will depend upon the knowledge, skill and attitude which you bring to the markets each day. Success therefore, is a result of a “deliberate practice” learning methods, applied over time. Exposure to the charts. Exposure to the strategy. Exposure to the trades. Again and again and again. The path is not one of finding some magic system or strategy. It’s a process of skill development, in learning to read the nature of the current environment, recognise shifts in the nature of the environment, and constantly adapting tactics to suit the current conditions. I wish you the best of luck along this journey! was this written when spreads were greater or am i missing better brokers? I’m assuming this was referencing the YTC Scalper? Please correct me if that’s wrong and provide a link to the page so I can address your quote in the right context. But let’s assume this is the case for now. 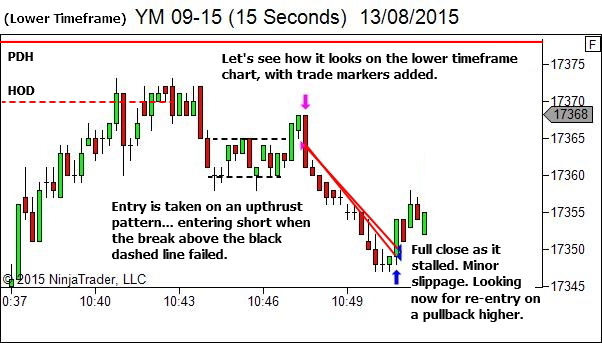 It certainly was my belief at the time of writing the YTC Scalper that it should not be applied to spot forex markets. The spreads at the time were much greater. Typical spreads were 1-2 pips on EU and 3 on GU. So, as you’ve noted, they have definitely decreased in the half a decade since then. Whether or not this makes it a suitable strategy, I can’t really say. The lower spreads will help. What still concerns me with forex is the “hidden” spread due to the way that order entry works in that market. With spot forex, trading against a market maker, you are restricted to buying at the offer price and selling at the bid price. With futures, because you’re trading against other traders, you have much more flexibility. Through the use of limit orders, assuming that orderflow suits at the time, you can at times buy on the bid and sell at the offer. Certainly not every time. But on some occasions you can fill at times which wouldn’t fill at all in spot forex… as forex has to move further through the price to put the opposite side of the spread at your limit order price. So this problem still applies in forex. Will this be sufficient to rule out use of the strategy? I don’t know. As mentioned, the reduced spreads helps. But the other problem still exists. Without having traded spot forex for 5+ years now, I still have to stand by my original statement that I don’t recommend the YTC Scalper for spot forex. 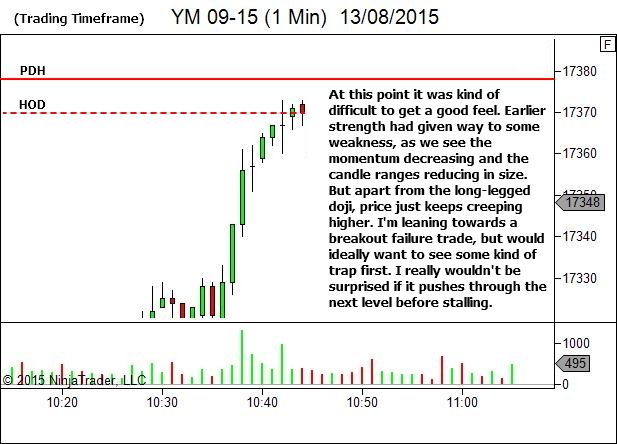 Stick to the higher timeframes (3 or 5min and higher). But then… who knows???? It really depends upon the trader’s skill levels. Good.morming amf thankyou for your reply.Im using a couple of brokers (Dukos is one of them) , my htf is m1 and t13 ir t21 is my entry ttf. So far spreads are not affecting my win rate but may, with commisions be affecting my total profit. Also i enjoy the flexibility of a one press entry in the moment. Having a set order for me is unappealing due to the dynamic changing aspect of order flow etc, so im not overly affected by these points. As such i dont think your course is invalid for what i do. However, at some point i feel i will have to move away from a mm towards ecn/stp/ futures trading. Being retail, my first expereiences did not even require me to understand the differences you have outlined in your reply. It was originally just a case of getting in and out with the best spread i could find. Most of my learning energy was put into chart reading etc. 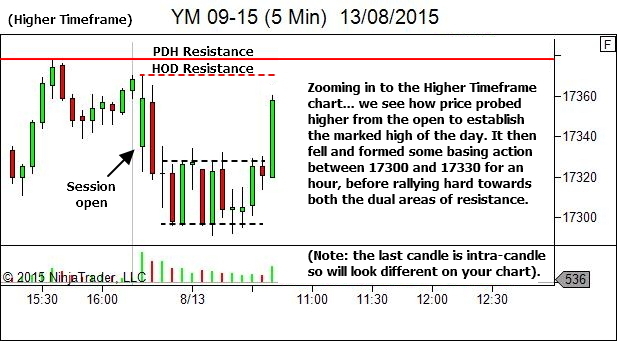 Im always aiming to get in within 5 or 6 pips max from a hi or low amd as such spot rates are still tolerable! You should be able to find others if you search around. Note: He trades large size, hence the huge cost saving. But the fact remains, at very low timeframes it makes considerable difference. Oh… and his post was also made about 4 years ago. As we discussed, the spot forex spreads have reduced since then for most brokers. So the difference will be reduced. But still, the difference is incredible. Please note: this is not to suggest that fx futures are the better market for all people. There are pros and cons both ways. Spot forex has some advantages, in particular for larger timeframe traders and also for those with small account sizes. The best option is for each trader to take advantage of the many free demo platforms that are available and test and evaluate the different markets, to see which best suits their needs and circumstances. The same applies in comparing spot forex via a market maker vs ECN. Test and evaluate. Thanks for this will check and evaluate. I am relatively small acc holder. Ps love the reply to R about being a REFLECTIVE PRACTIONER. bullseye! I enjoyed the article, it was helpful and refreshing. It did raise a question for me though. I’ve noticed you had used some trend lines in this newsletter and some before, how they and other TA patterns like triangles and wedges fit into the ytc strategy? I’ve pretty much abandoned trend lines & patterns since adopting your strategy, but if there’s a way of tying the two together I imagine it must be helpful. I don’t use trendlines or pattern lines in my trading. Where I’ve marked them on the charts in the YTC articles, you’ll notice that the price action sequences they represent are usually blindingly obvious without the lines. 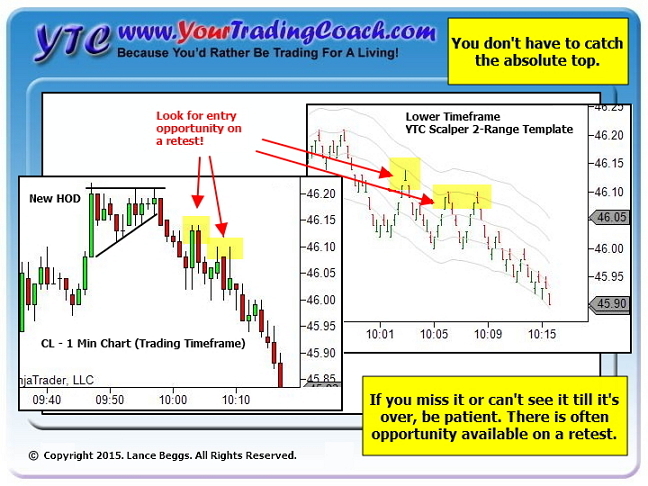 When trading live, you’ll experience the volatility compression that becomes a triangle. You’ll experience the inability to break a level which ends up forming a pattern boundary. You’ll see all of this without the lines being necessary. The lines have only been added to the charts to help see this after the fact; to help point the reader to the appropriate part of the chart that is most relevant to the article discussion. How can you scale both parts until the end of downswing? why don’t you take profit part 1 at previous swing low (because the bias is strong bullish and PA can reverses anywhere, take profit part 1 will reduce the risk if market reverses). I got lucky this time. I almost always will scale out part 1 at around 1R, which would have been around the prior swing low. But the thrust down from the High-of-Day had me confident that this would break. Had the swing low held and the market set up for a further attempt at the HOD or PDH resistance levels, there was room to scale out around breakeven (or small loss) for at least part of the position. Sometimes, if you’re confident of a break though, it pays to hold. Thank Mr Beggs, i will take note it in my trading plan.